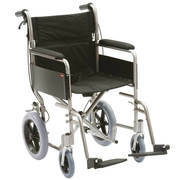 Wheelchairs for sale including bariatric lightweight reclining transit and manual folding. 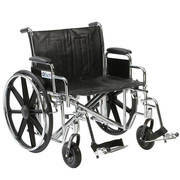 Bariatric wheelchairs are a heavy duty wheelchair with the capacity to carry heavy users. Electric wheelchairs are battery operated and allow the user to move around indoors and outdoors unassisted. Controlled by a joystick generally mounted on either left or right armrest. Lightweight wheelchairs are generally made from aluminium and this significantly reduces the overall weight of the wheelchair. 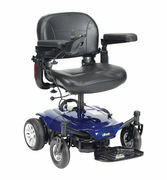 Ideal for users that frequently need to fold the chair and lift into vehicles for travel. 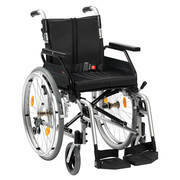 Manual wheelchairs cover the full range of wheelchairs that are not battery operated. 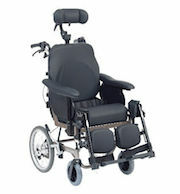 Reclining Wheelchairs allow the user to be reclined for extra comfort or stability. An easy function but on manual wheelchairs assistance from an attendant is generally required to recline the wheelchair. Transit wheelchairs are also called attendant wheelchairs or transport wheelchairs. They require an attendant or assistant to push the wheelchair. 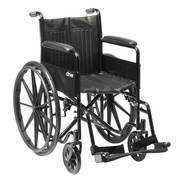 They generally have smaller rear wheels which also assists in reducing the weight of the wheelchair.